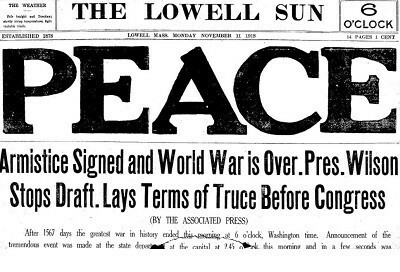 11 November 2018 (Remembrance Day) marks the centenary of the signing of the Armistice that brought the carnage of WW1 to an end. This important centenary will be commemorated in countries that were former British allies in WW1 (UK, US, Canada, Australia, New Zealand, France, Belgium and Russia) and in the opposing countries of Germany and of Austro-Hungarian Empire. Prominent in the commemorations will be the modern equivalents of the mendacious politicians, journalists and jingoists who were criminally responsible for WW1 (20 million killed), the so-called war to end all wars, that inexorably led to WW2 (100 million killed) and the post-WW2 US world war on humanity that in the 21st century has focused into a US War on Muslims (over 32 million dead from violence, 5 million, or from deprivation, 28 million, since 9-11). Millions were sickened by a vile video of a group of backward racists burning an effigy of Grenfell Tower on bonfire night, November 5.